An old commission, as you can see by the signature. 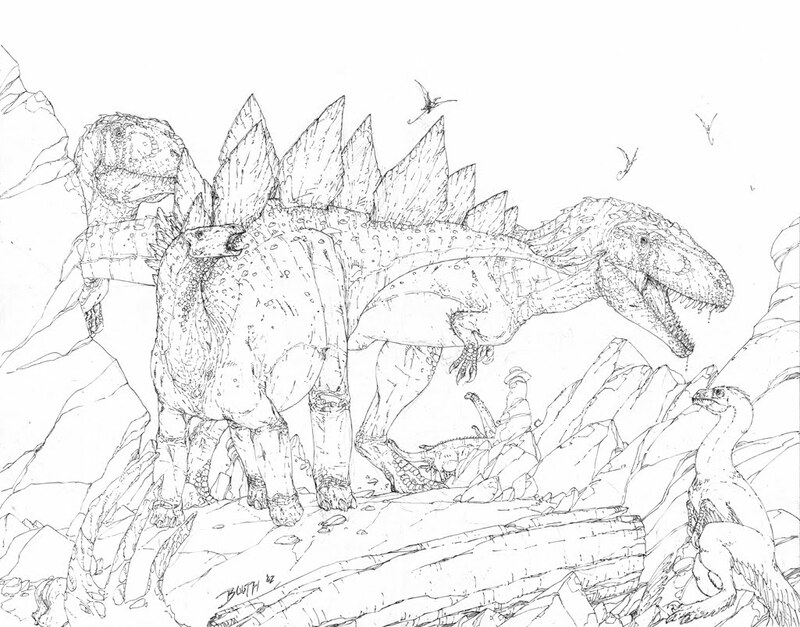 A couple of Torvosaurs have managed to trap an unfortunate Stegosaurus. Be kind it's OLD! I only started drawing dinosaurs seriously in 2000.